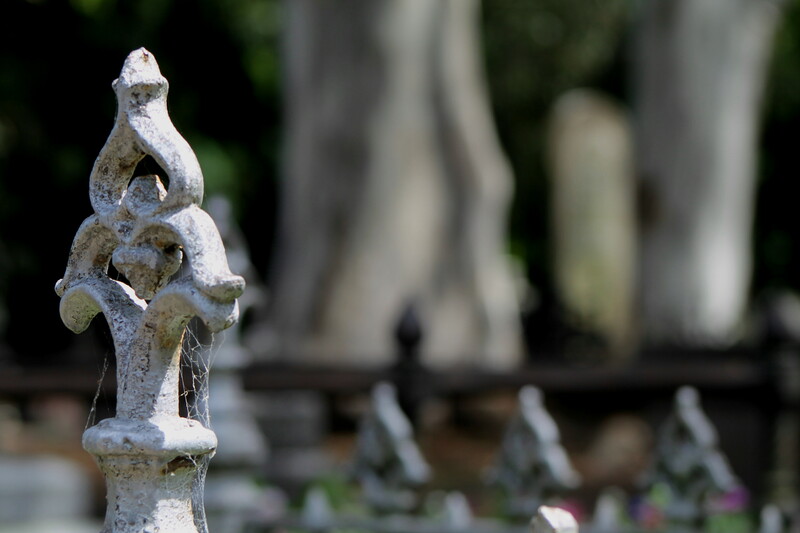 After a good start to the year with great intentions to blog more regularly, I have been a bit slack lately. I was good while on holiday but then real life struck. Pffft. I really should get my priorities right and get back in the kitchen where I belong! So today I did. It was a matter of having to. 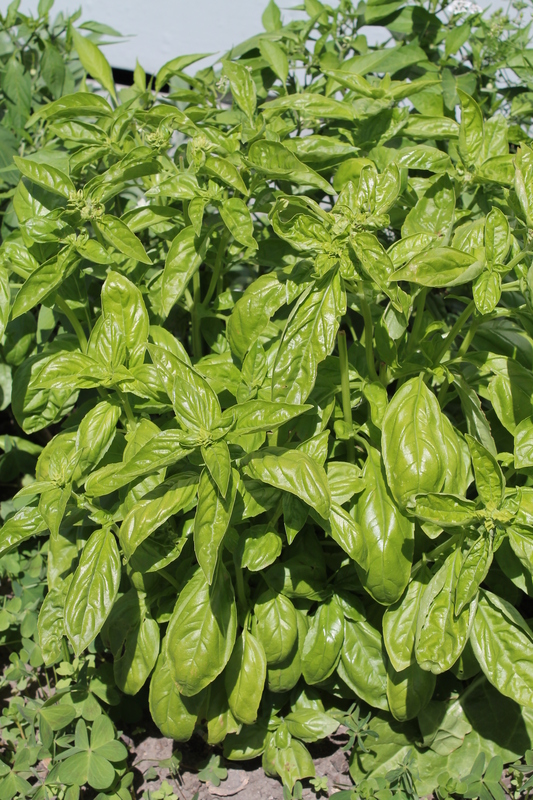 The Basil plants are growing like triffids and if I didn’t make pesto soon we would be having trouble getting out the door! I’ve been meaning to make pesto for a while and now that I know how quick and easy it is I won’t hesitate to make it again. Probably when this lot runs out, which will be… probably tomorrow! 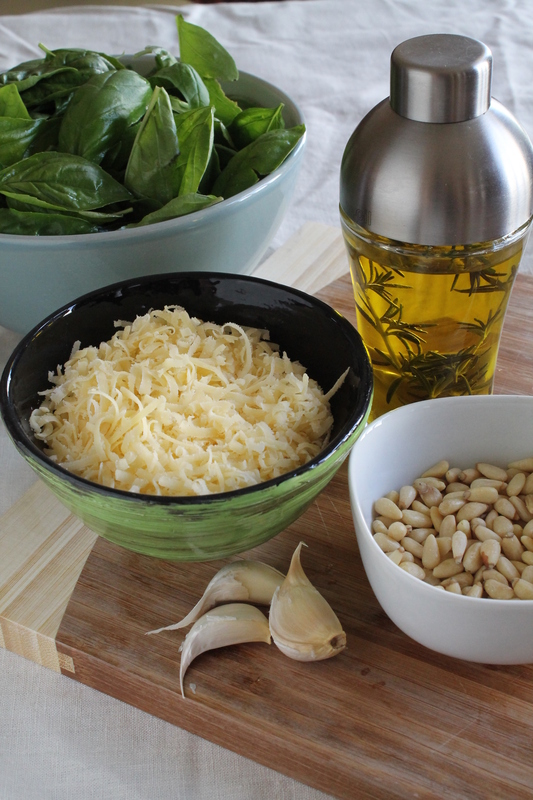 Throw all ingredients except the oil into a food processor and process, adding the oil in a thin stream until smooth. 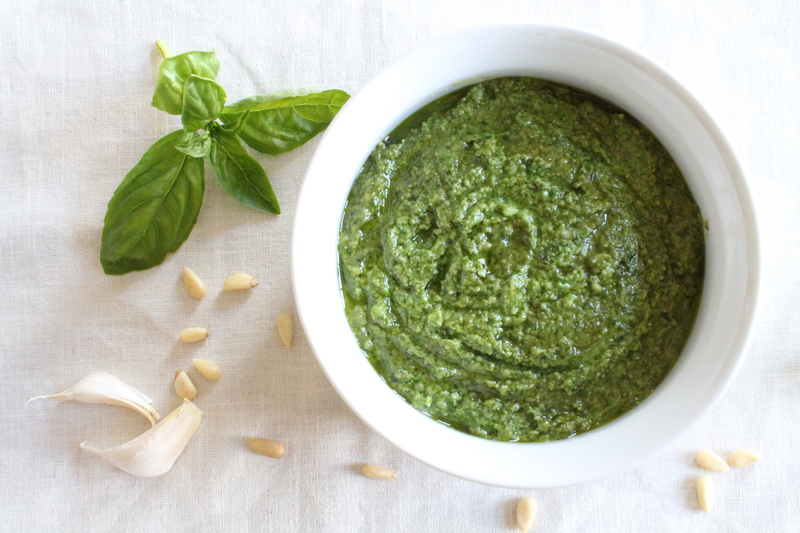 This is quite a thick pesto, but you can add more oil if you like it a bit thinner. That’s it Amigo. All done. Finito. Now was that easy, or was that easy? Now… does anyone have any ideas for what I can do with all the the sage in my garden? It’s taking over! It’s been a while since I have been creative in the kitchen. My new camera has been taking up most of my attention and I have been photographing everything except food – supposedly the reason I got the camera was to take better photos of my kitchen creations, but oh no, the creations of my camera lens have been luring me away from culinary exploits. So today I got back in the kitchen. If it hadn’t been for the fact that I wanted to photograph this cake, I would have been wandering far and wide with my beloved Canon snapping photos of rusty wire, lichen covered fences and cows instead. Anyway, back to the matter at hand. Cake. Is there ever a time when a slice of good cake is wrong? 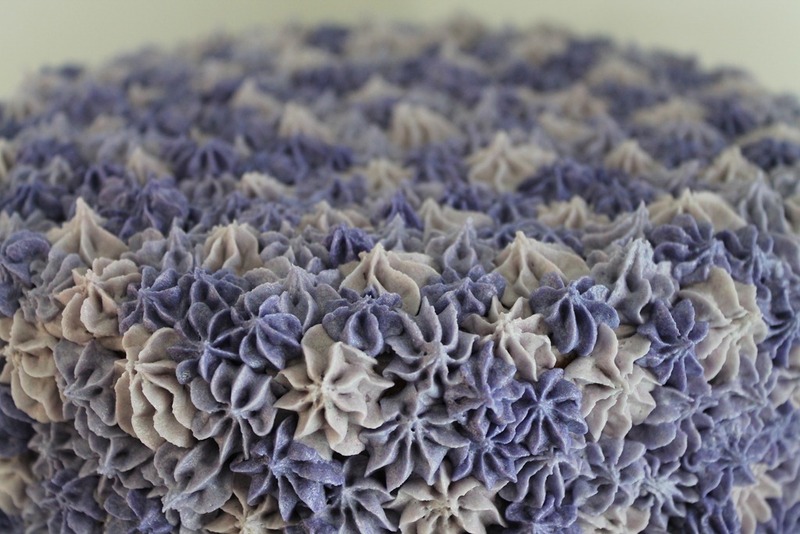 I have had this hydrangea cake on my mind for a while. 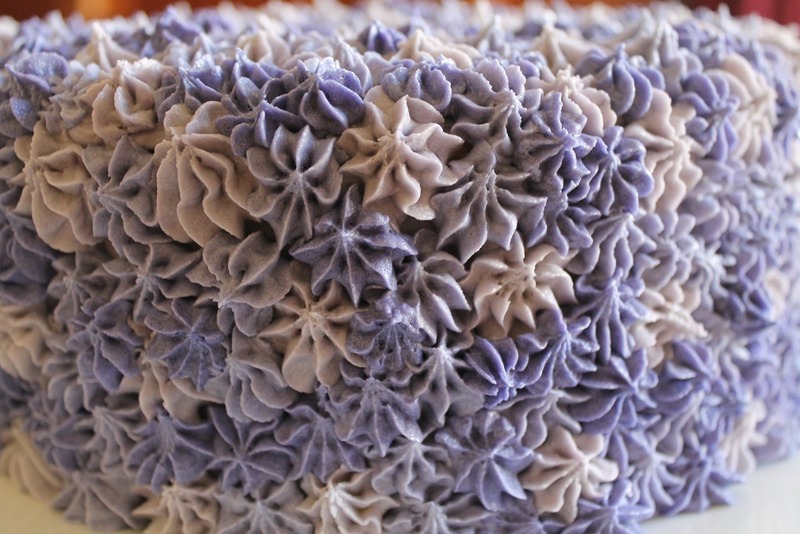 Ever since I saw this cake on Pinterest. As soon as I saw it I thought of two things. 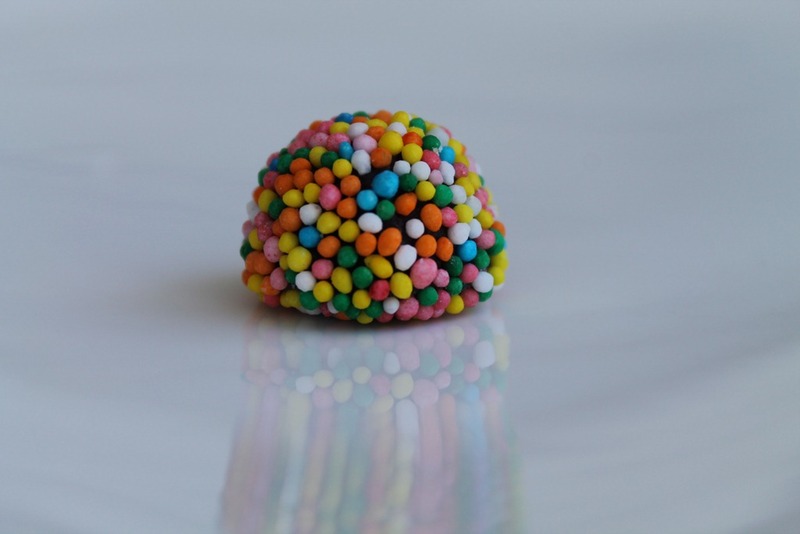 Firstly, these cute little sweets. 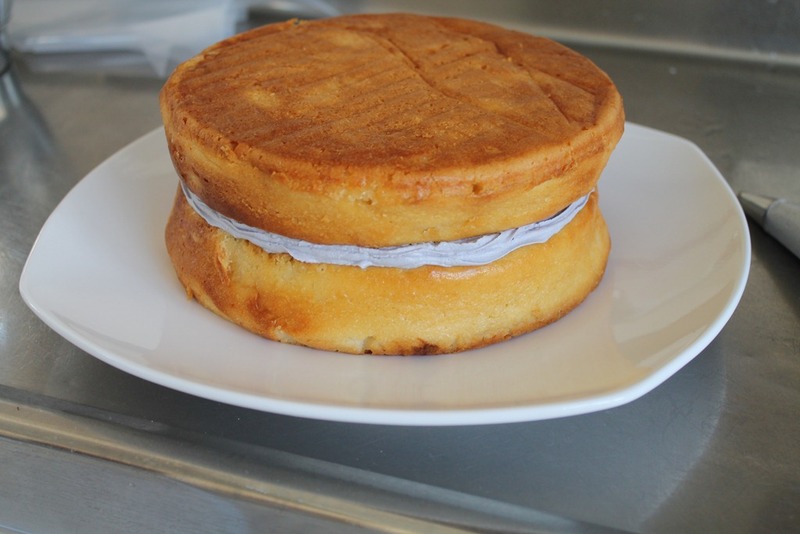 Today was the day, so armed with a piping bag, unreasonable amounts of butter and icing sugar, and oodles of food colouring I started work on the Coconut cake I baked last week. 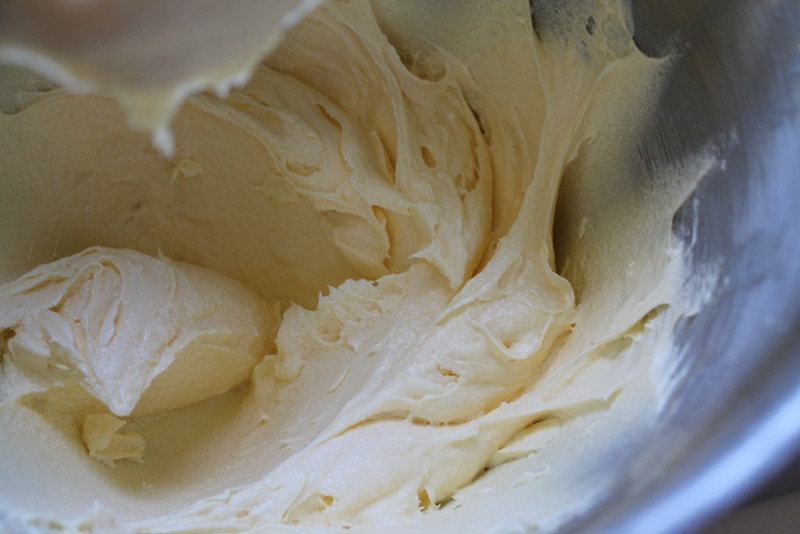 First, make buttercream. 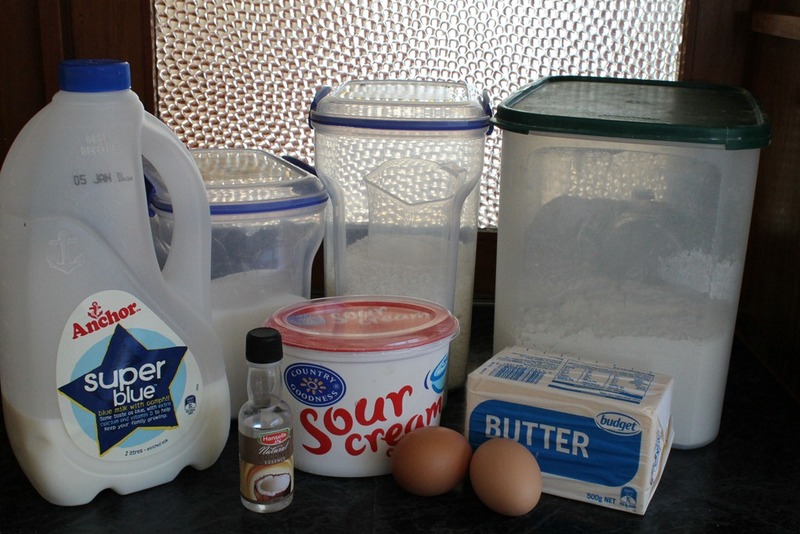 You may need to multiply the recipe 2 or 3 times depending on the size cake you are icing. The quantities I used today were 375g of butter, 4.5 cups icing sugar and a couple of tablespoons of cream, and I had quite a bit left over. 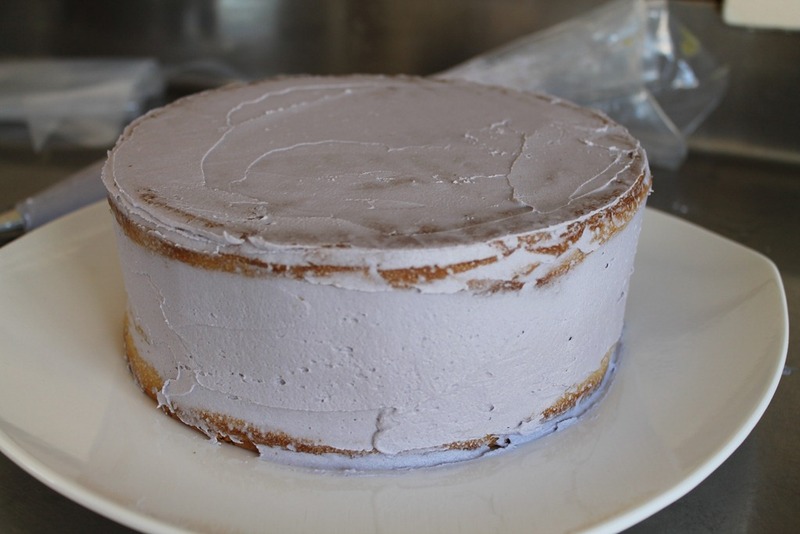 Because I wanted the cake to have two layers with a filling in between, and I don’t like the filling to spill out and ruin the icing, I first piped a dam of buttercream around the bottom layer to contain the filling, like so. Now it’s time for the filling. 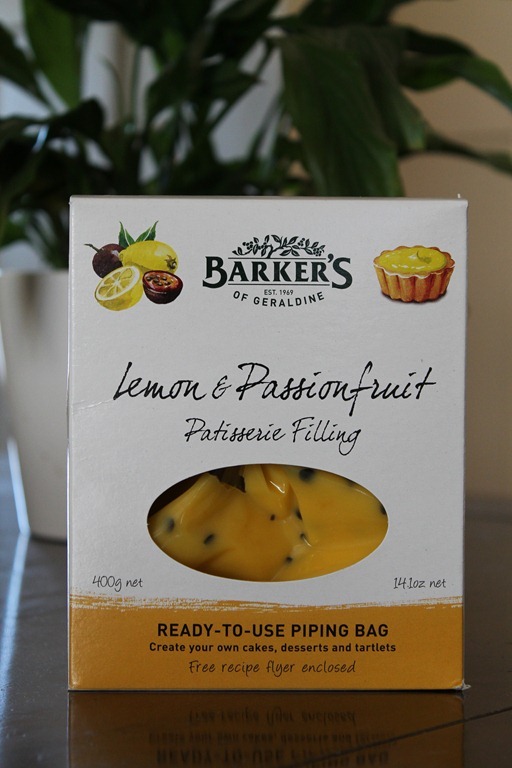 Sometimes I make my own passionfruit curd, but this time I opted for a store bought version which is rather delicious. Resist the urge to lick the spatula clean, then place the other layer on top. See how the sides of the cake cinch in the middle? Don’t worry. 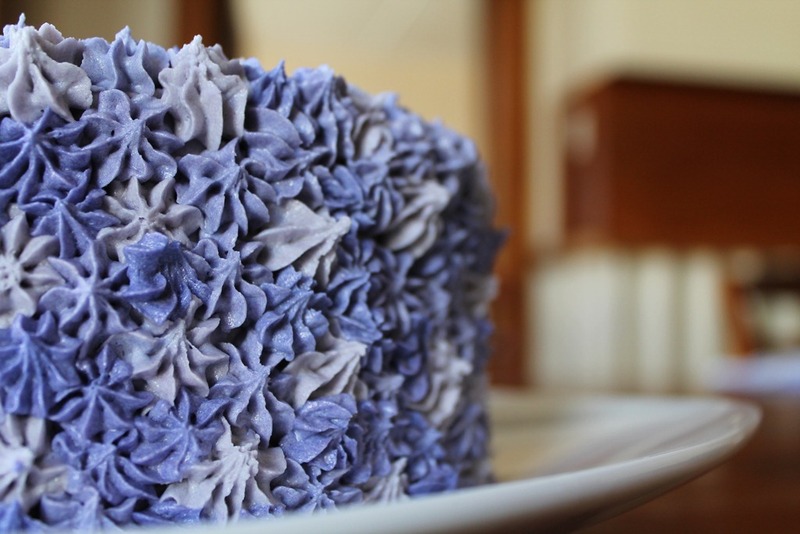 We can remedy that with buttercream. 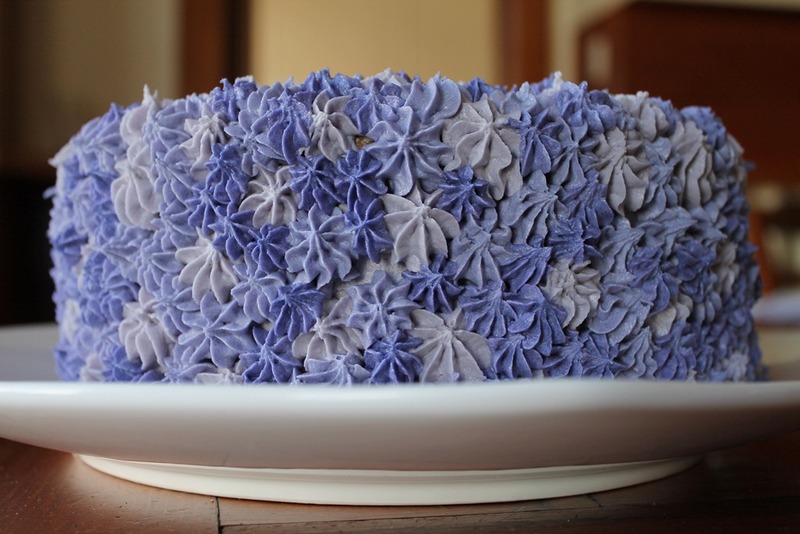 Observe how the application of buttercream has evened up the sides so they are now (more or less) straight up and down. That is good. Eating buttercream has the same effect on my waist. That is not good! Anyway… what I have done here is the ‘crumb coat’. 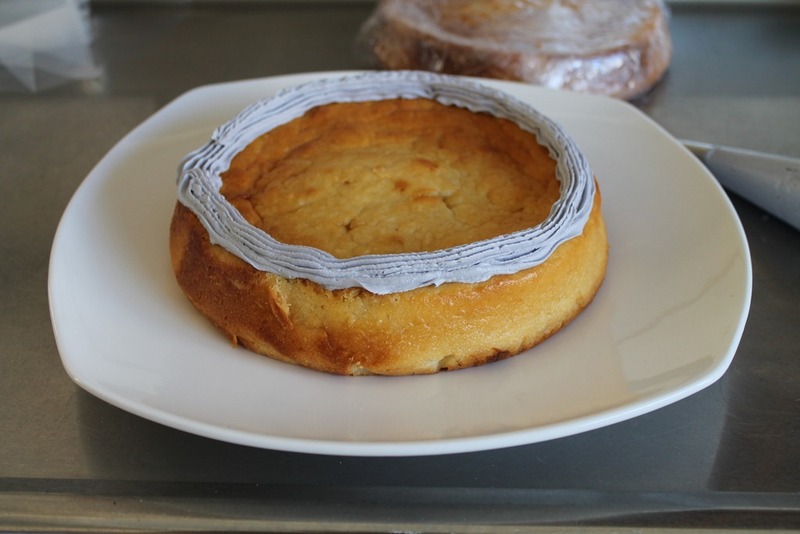 It is not particularly important for this cake is it is more dense and doesn’t really crumble. I have done it mainly to even up the shape of the cake and provide a bit of a background for the flowers. But, you know when you are trying to ice/frost a really crumbly chocolate cake and crumbs go all through your buttercream and it looks really messy? What you need to do first is a crumb coat to seal in the crumbs, then refrigerate for half an hour or so until it sets hard and then do top coat of frosting. The crumb coat doesn’t have to be neat and it doesn’t have to be thick, in fact it should be very thin. It just has to be enough to seal in the crumbs and even up the shape. Moving on. 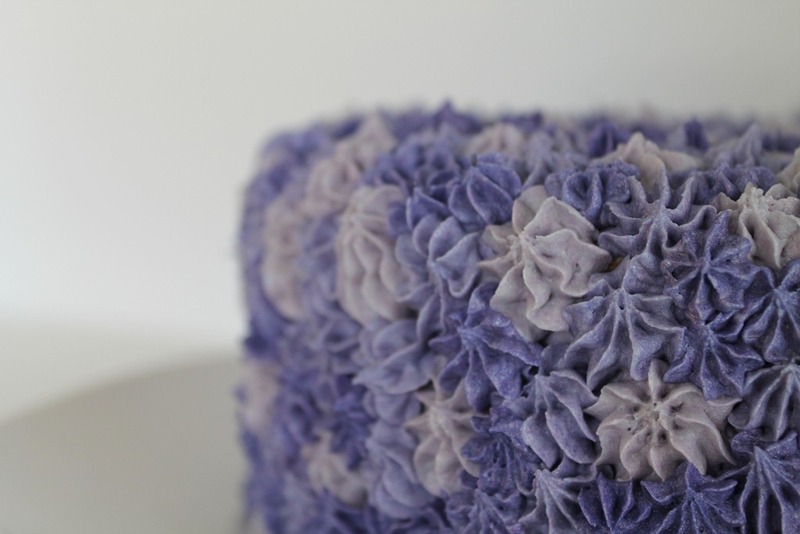 When I made the buttercream, I put a few drops of lilac food colouring in to provide the colour for the lightest ‘flowers’. 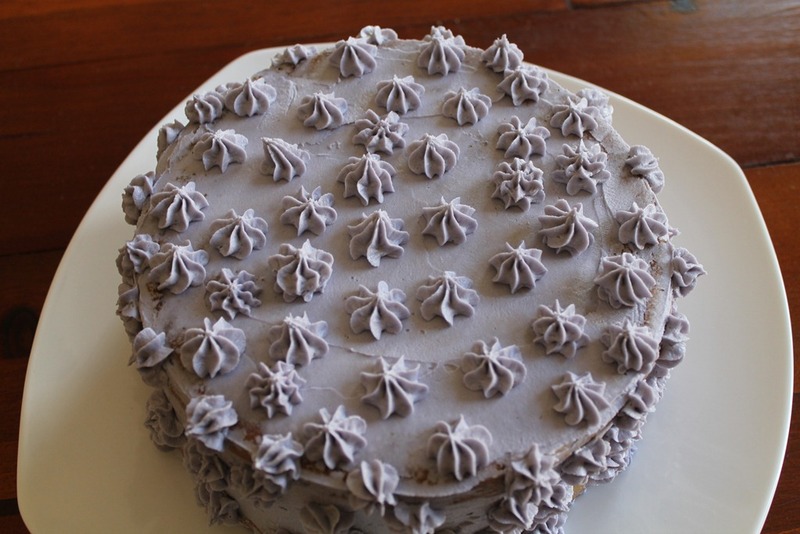 Using a #21 Wilton tip in the piping bag, I piped ‘flowers’ randomly over the cake. Gradually filling in all the gaps until the cake is completely covered and you have used almost an entire bottle of food colouring. It really is an easy way to decorate a cake, especially when using graduated colours as I have done. 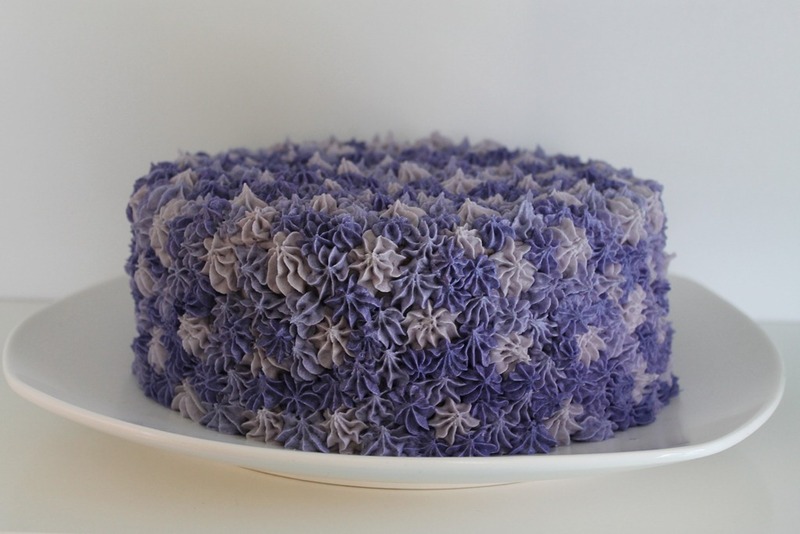 If you were to use different colours like the cake that was my inspiration for this, you would have to divide the buttercream into separate bowls. add the different colourings to each bowl, and use different piping bags for each colour or, if using a reusable bag, wash and dry the bag between each colour. That sounds very fiddly to me. 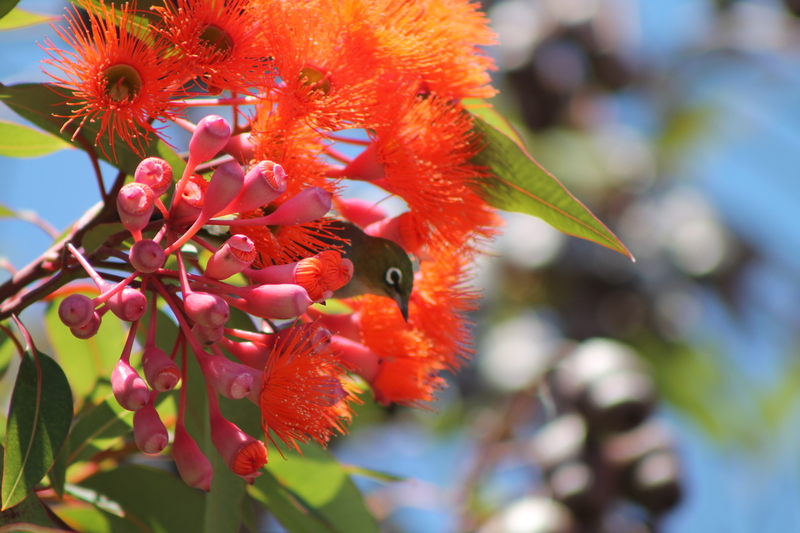 Because I am lazy of the overall effect I was trying to achieve, I wasn’t too concerned about the colours mixing. I just kept refilling the bag with the ever darker mixture. And I am quite pleased with the end result. What about you? What colour/colours would you like to try with this technique? Larb is a classic Thai salad made with minced beef, pork or chicken and vegetables, served in a lettuce cup. The combination of flavourings, mint, coriander (cilantro) and lime, is very refreshing. Freshness and flavour – a perfect meal on a hot day. 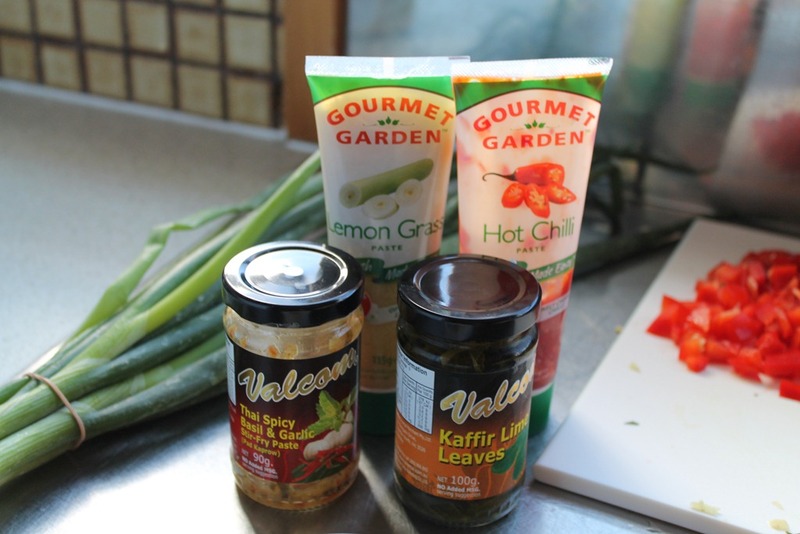 Feel free to experiment with the ingredients to suit your taste buds. 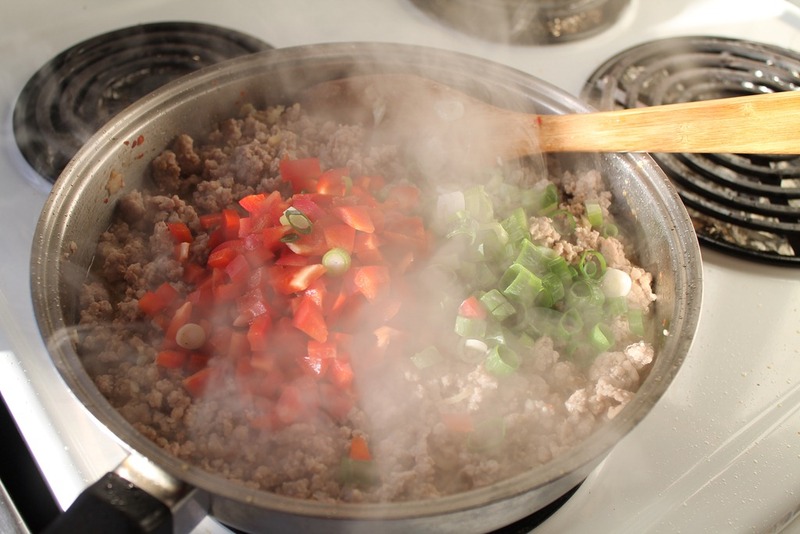 Adjust the amount of chilli if you like it more or less spicy, or use substitutions if some ingredients are not readily available. I do it all the time… sometimes I get an idea in my head about what I want to make and if I don’t have all the ingredients on hand I just use whatever I have on hand. Results may vary, but that can be a good thing. Like the time I was going to make this incredible chicken pasta salad, but I didn’t have a couple of the ingredients so I substituted here and there. The resulting Tiramisu was incredible! As I said, results may vary. Anyway, I digress. Back to the Larb. I had a Thai Pad Kaprow paste in the fridge that had lemongrass, garlic and chilli so I used that up and adjusted the amounts of those individual seasonings. I also used tubes of lemongrass and fresh chilli paste rather than fresh. 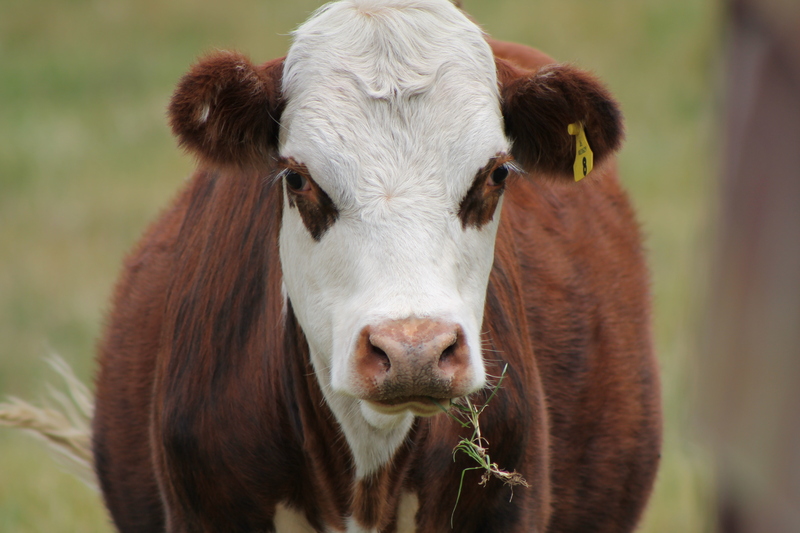 And of course, you could use beef instead of pork. And leftovers – if there are any – are very tasty cold. And that’s major coming from me. I’m really not a cold leftover sort of girl usually but for this I make an exception. 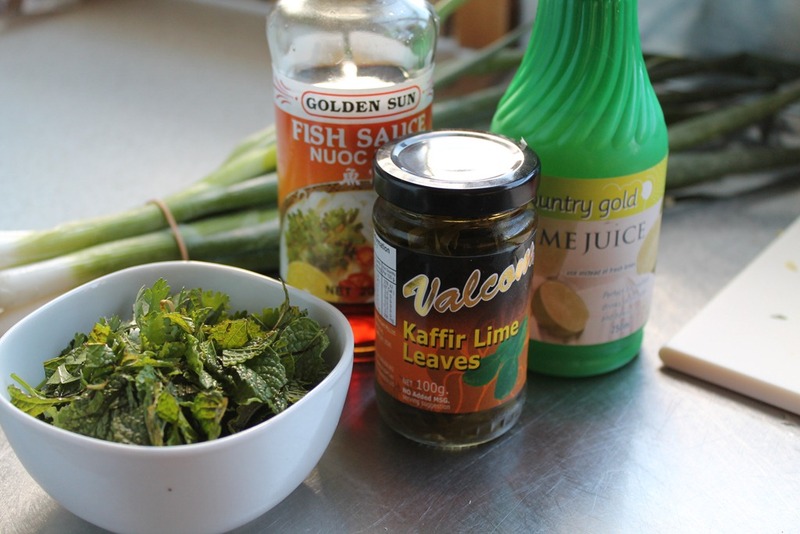 2 tablespoons finely chopped lemongrass (you can get this in jars if fresh is not available). Heat oil in a large non stick frying pan or wok. 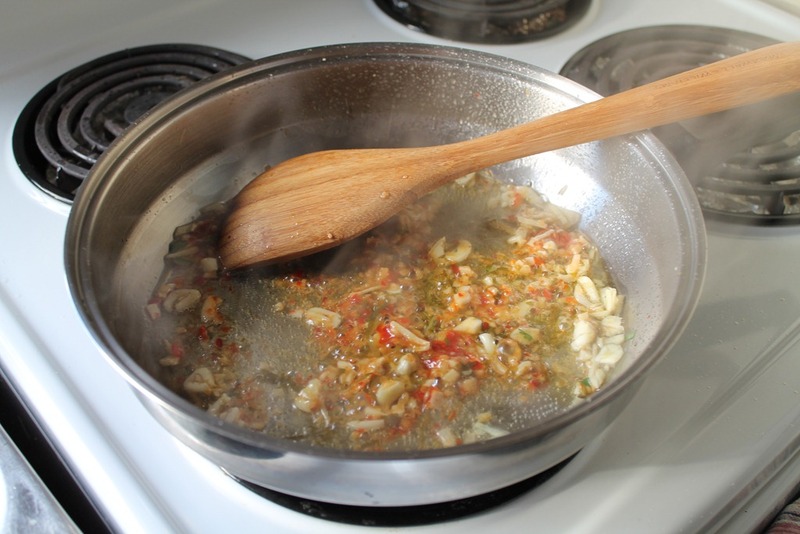 Add the lemongrass, chilli, garlic and ginger and stir until the fragrance wafts through your kitchen – about 2 minutes. Add the pork and cook, stirring, for about 8 minutes. 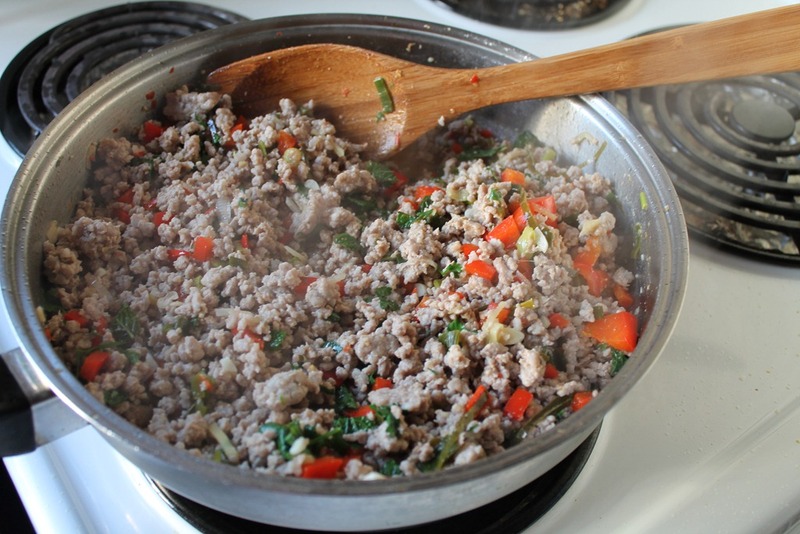 Add the capsicum, and stir for another 2-3 minutes. Add the fish sauce and half the lime juice and cook for another 5 minutes. Meanwhile, combine the remaining lime juice, herbs, onion and lime leaves in a small bowl. Take the pan off the heat and pour over the pre-mixed juice and herbs. 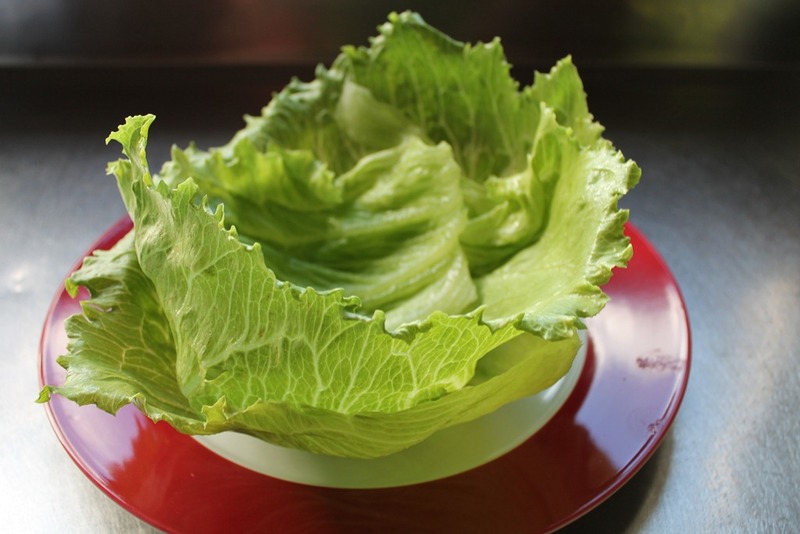 On each plate, form a bowl by placing two lettuce leaves together. 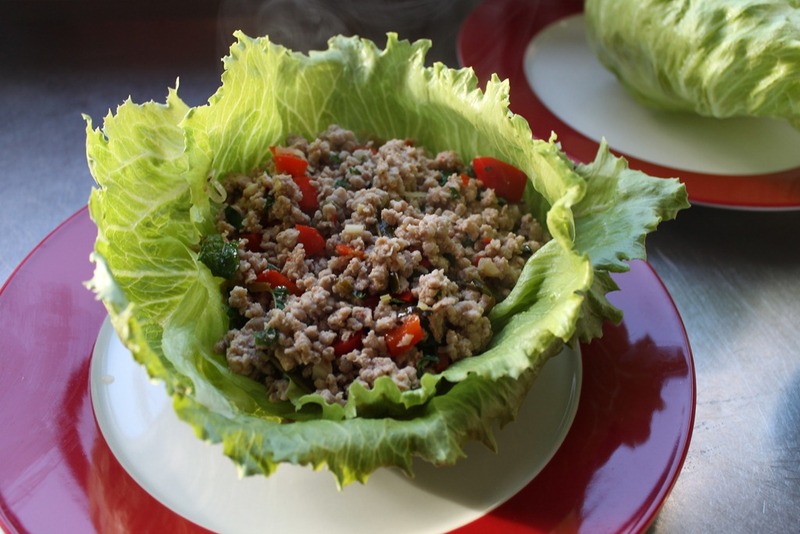 Place 1/4 of the larb in each bowl of leaves. And you’re done! This is a meal on its own and it’s perfect if you follow a high protein, low carbohydrate regime. And, as an added bonus, you wont need to call everyone to the table. They have been sitting there waiting for you since the aroma from the kitchen brought them in 10 minutes ago. If I’m not doing it, I am thinking about it. It fills my waking hours, and some of the sleeping hours too. I bought the camera with the intention of improving the photography on my blog. But the problem with that is, in order to photograph food I have to cook it first. And right now, I can’t be bothered. I promise, we will return to normal programming soon. Maybe with a beef dish. My mother is the best source of recipes. In fact, she should be running this blog. She out bakes anyone I know. Including me. Now that my boys aren’t at home with me, I probably only bake once a month and even then it only gets eaten if I take it to work. 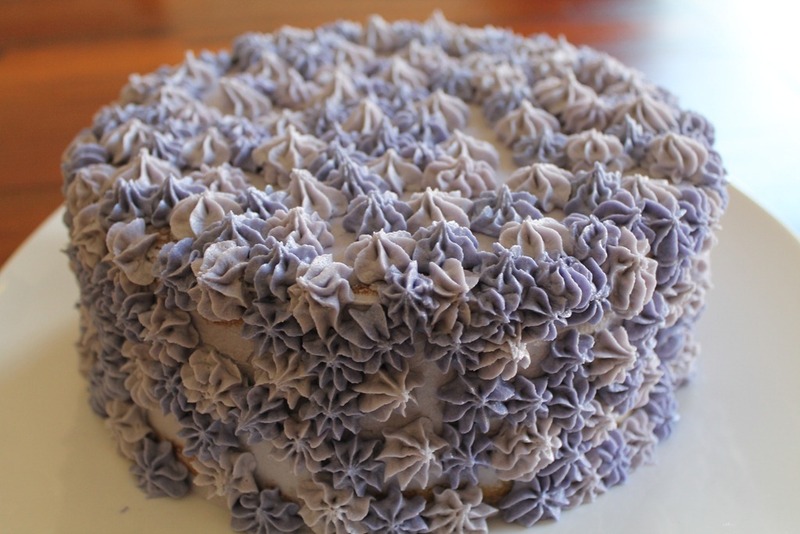 I tried this cake for the first time last year when she made it for my birthday. I loved it so much I have made it for my birthday again this year. It’s slightly dense and moist, not light and fluffy but it is divine and will keep well for up to a week without drying out. The flavour reminds me of summer even when it is dreary and cold outside. Summer in a cake. I like it! 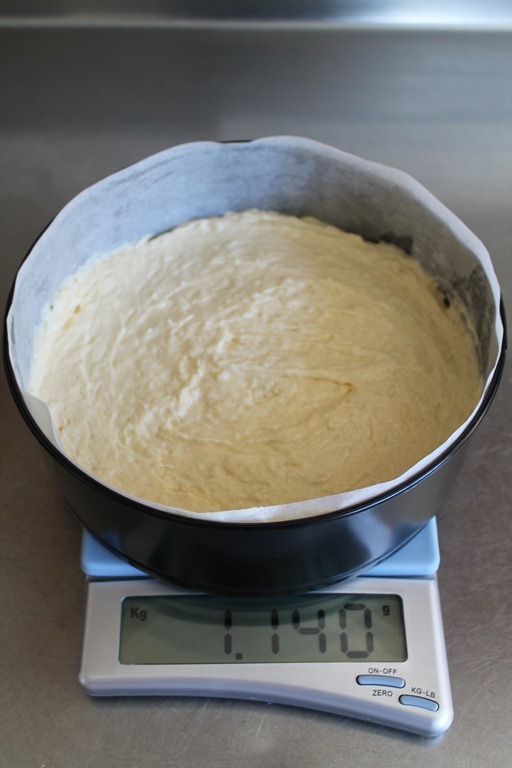 If the quantities in the photos look larger than the ingredients suggest, it is because I made a double batch – some for the dozen cupcakes featured in this blog post today, and two round cake layers to be assembled in a week or so for my birthday cake. Stay tuned for photos of that. 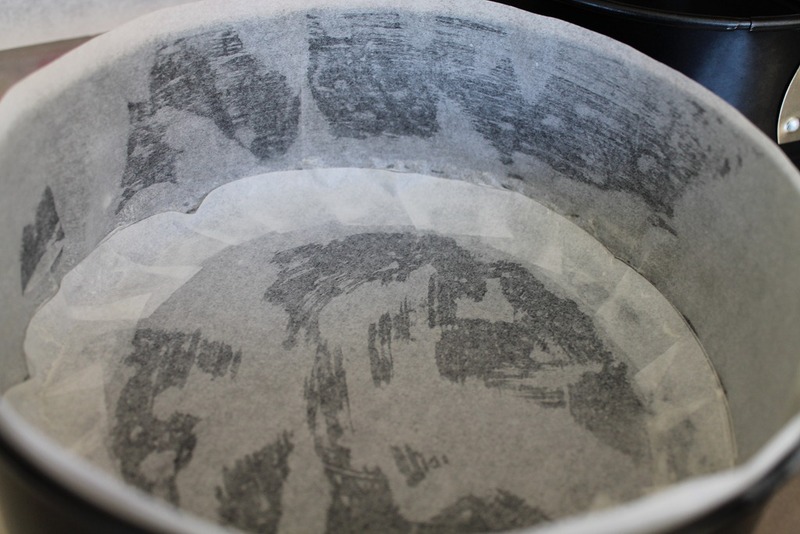 Start by preheating your oven to 150 C and grease and line your cake tin(s). This is my least favourite part of the whole baking process but don’t wait until you have already mixed the ingredients before preparing the tins. You really want to get the mixture straight in the tins and into the oven rather than leaving it sitting while you prepare the tins. 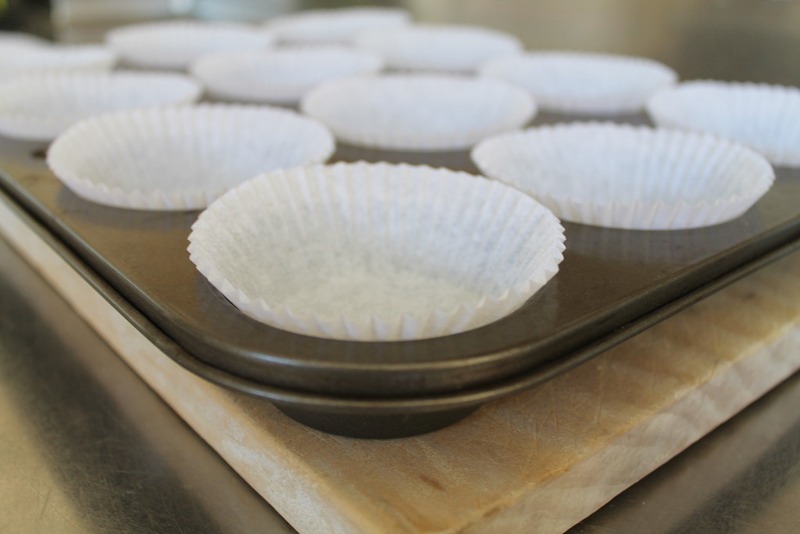 Or if you are making cupcakes, simply place liners in the cupcake tin. 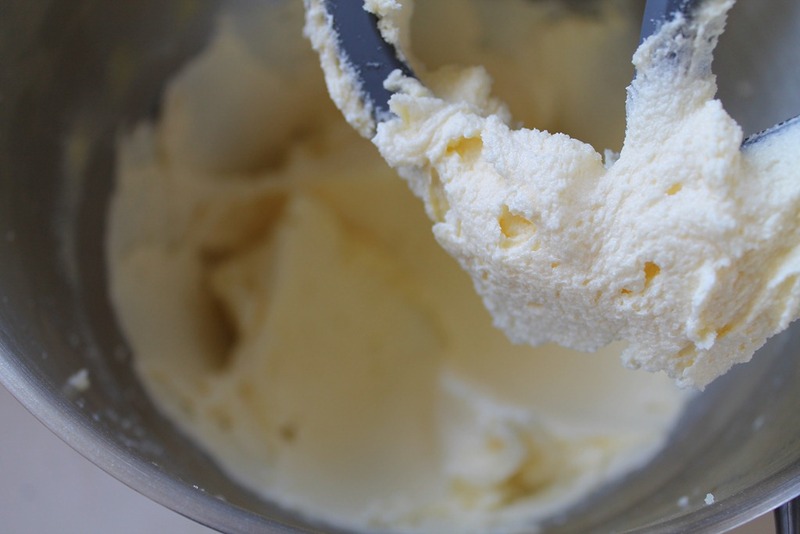 Cream the butter, coconut essence and sugar until light and fluffy. This is what light and fluffy looks like. See? Light … and fluffy! With the eggs added the mixture should now look glossy. 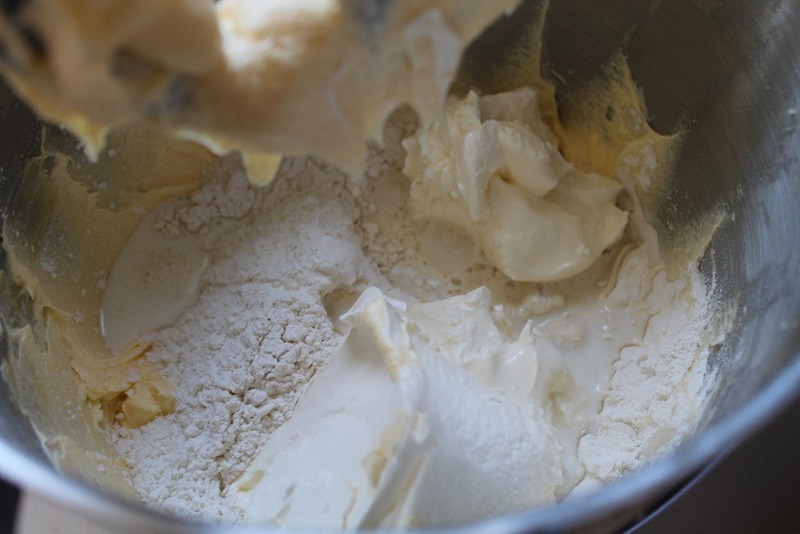 Place half the coconut and flour, and half the sour cream and milk in the mixer and slowly mix. Then add remaining flour, coconut, sour cream and milk and mix until well combined. 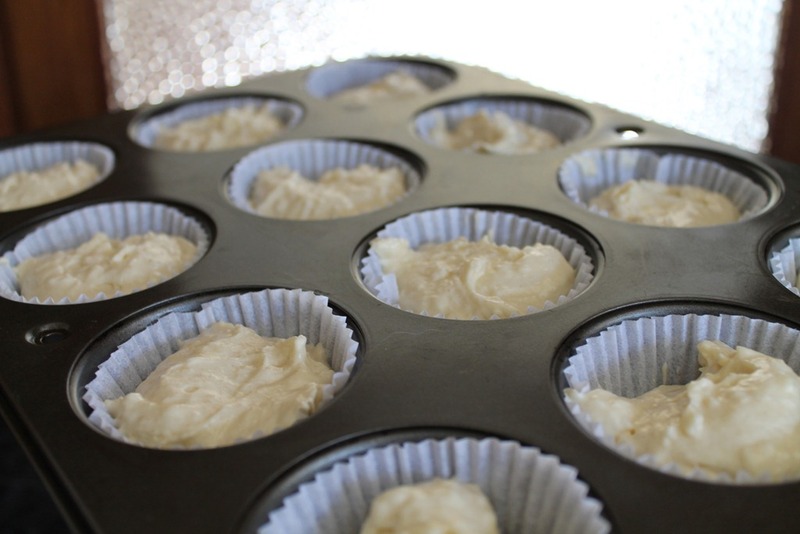 Fill cupcake liners only until 1/2 or 3/4 full and bake for 15 minutes-20 minutes. Many cupcake recipes recommend a higher temperature and quicker baking time however I usually find this results in a volcano shaped cupcake. I recommend baking at this lower temperature for longer as the cupcake will bake nice and flat. Perfect for decorating. If baking a cake with this mixture, use an 8 inch square or 10 inch round tin. 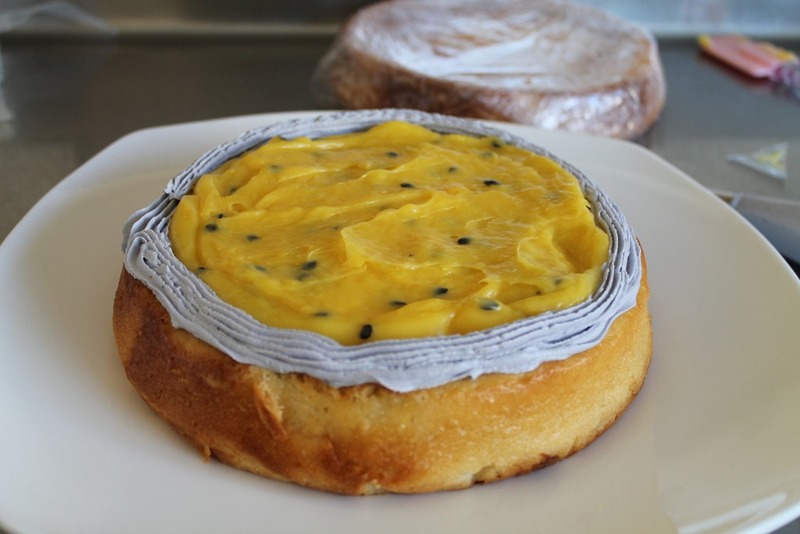 Ensure the mixture is spread evenly in the tin to ensure it bakes flat. Because I was making two layers, I weighed each layer in the tin to ensure they were roughly the same weight. Baking time for the two layers was about 35 minutes, but if making one thicker cake, bake for approximately 40 minutes then test for done-ness with a skewer and adjust baking time if necessary. Fill cupcakes (optional) and then pipe frosting on top. 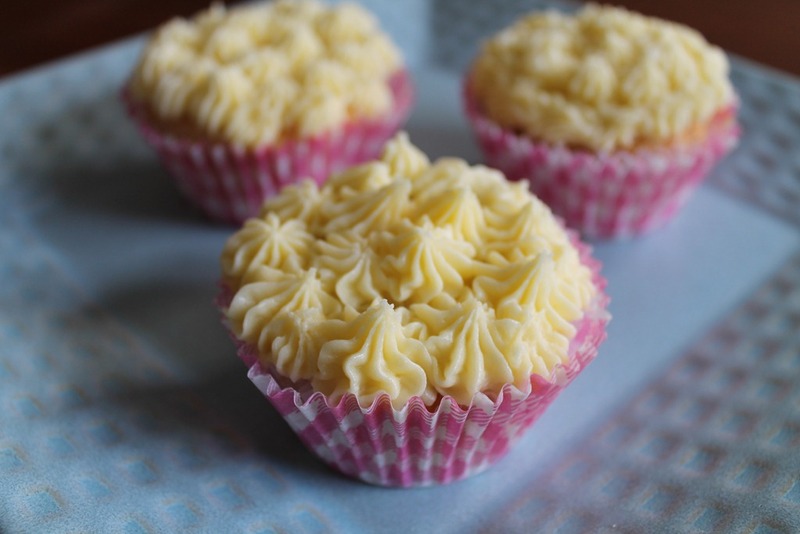 I filled my cupcakes with passionfruit filling and piped buttercream frosting on top, but they would also taste great with a cream cheese frosting. Wow. 2013 already! Didn’t 2012 just go by in a flash? It seems like only yesterday I was looking forward to 2012 and the changes it was going to bring, and here I am 12 months later thinking the same about 2013. For me, this coming year wont bring such drastic changes as 2012 has, but I still have plenty to look forward to – not the least of which being the completion of my business degree which has been in progress for too many years. 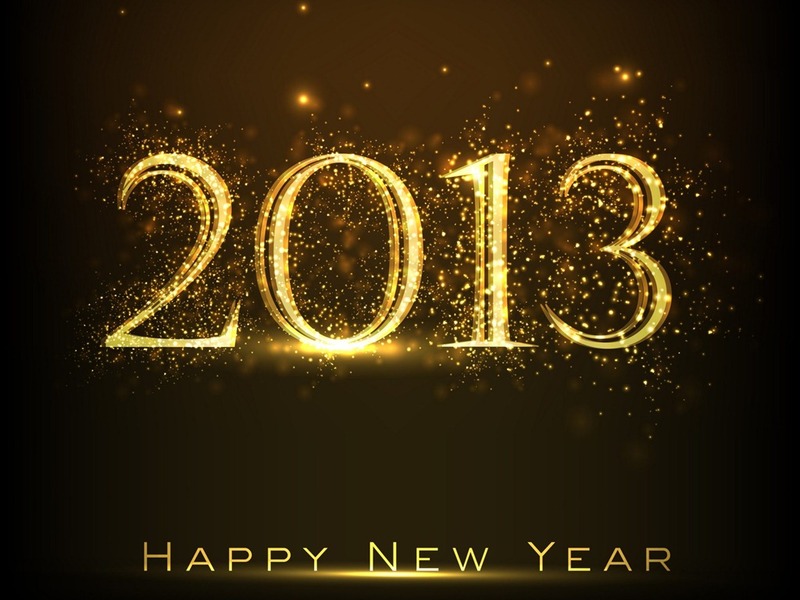 May 2013 bring you and your family happiness, joy and many batches of cookies fresh from the oven.